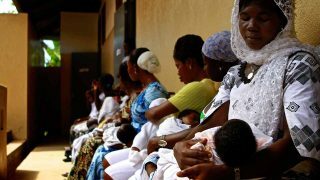 As the crisis rocking the National Health Insurance Scheme (NHIS) simmers, its new acting Executive Secretary, Ibrahim Attahiru, has pledged a robust national healthcare coverage. 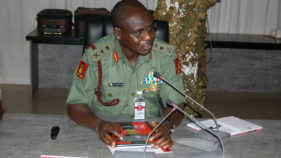 The Chief of Army Staff (COAS), Lt.-Gen. Tukur Buratai, has extended the deadline given to troops of Operation Lafiya Dole in the Northeast to capture leader of the Boko Haram terrorists group, Abubakar Shekau. 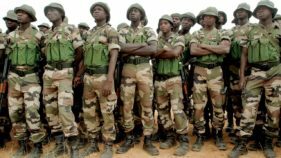 Theatre Commander, Operation Lafiya Dole, Maj.-Gen. Ibrahim Attahiru, made the announcement on Tuesday at the inauguration of the force at Maimalari Cantonment, Maiduguri. 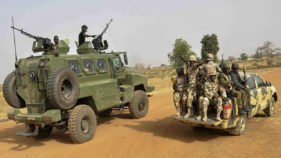 In a move to resolve its disagreement with the United Nations (UN), the Nigerian military has declared support for the global body’s operations in the insurgency-ravaged north-east region. 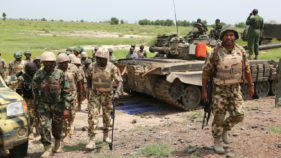 The Nigerian Army on Saturday expressed its readiness to collaborate with the United Nations (UN) humanitarian agencies to achieve the goals of the counter-insurgency campaign. 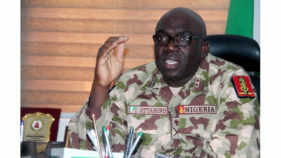 Theatre Commander of Operation Lafiya Dole, Maj-Gen Ibrahim Attahiru, has said 404 Boko Haram terrorists were killed, while 15 soldiers were lost in the fight against insurgents in last four months. 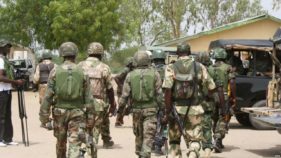 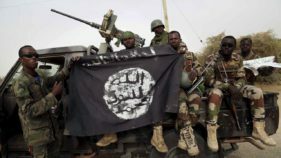 One soldier and many Boko Haram mercenaries were killed on Monday in two separate battles in Borno State.